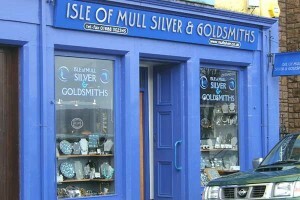 Isle of Mull Silver & Goldsmiths produces silver Christening spoons, quaichs in both Scottish Hallmarked silver also hardwood and silver. Celtic crosses from Iona including MacLeans’ cross and St Columbas’ cross are available both in silver and gold. The company also produces classic cufflinks with a feature Scottish Hallmark.